Students from the Access to Higher Education course today presented a Health Awareness exhibition, which they had all worked extremely hard to organise. Each group of students chose a health topic and designed display stands, learning materials and questionnaires. The various stands were spread around the room and included awareness of sexual health, drinking, drugs, sugar and mental health. 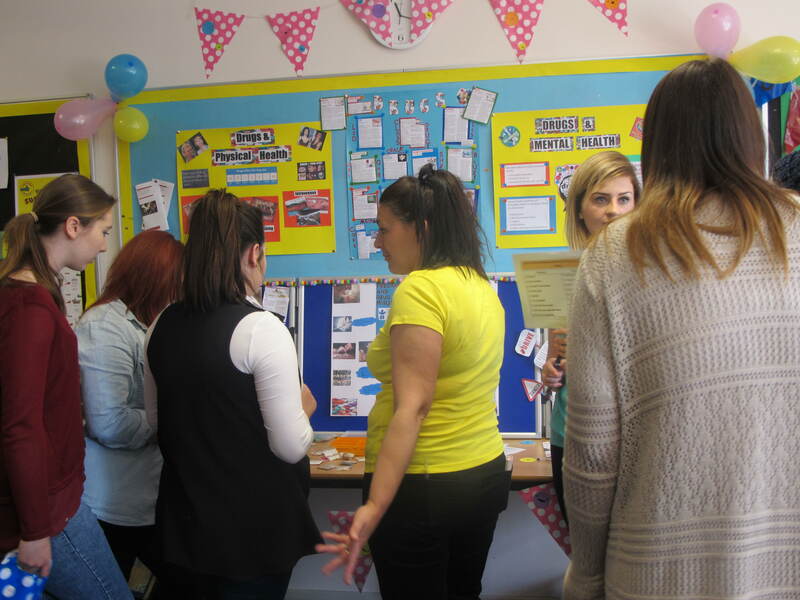 First Year Health and Social Care students visited the event, where they were able to walk around the stands, find out more about each health topic and take part in quizzes and questionnaires. The Access to HE students were on hand to answer questions, discuss and advise on their chosen health topics and share what they had learned. The information on each stand was very thorough and the event was an informative but fun learning experience for the Health and Social Care students. This health awareness project was the final assignment for the Access to HE students, who wish to study at university and gain the qualifications to enable them to work in their chosen careers.